You finally got the picture of noctis and his three friends. I'd love to know the official website that you got this scan from, anyway THANKS a bunch for sharing it! Been waiting so long for a good version of this pic. they are very cool ! hahahah they look so cool! Awesome! I'd love to get my hands on this game! The trailer is freaking awesome! Thanks for the scan! yaaa thanks for sharing~! i love it! its awsome man~~! any way nica pic, thanks! 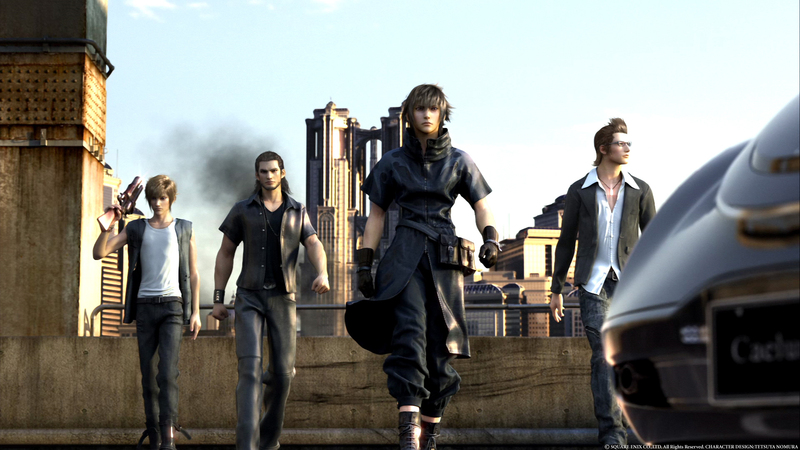 me encanta la historia de final fantasy versus. en mi opinion de las mejores. gracias por compartirla. i love this image, cant wait for the game to come out, thanks for uploading in such great quality.